Artificial Intelligence has become a hot topic in technological as well as philosophical circles. As much as the optimistic projections of technological advancements, there are also gloomy forecasts of machines taking over. Reducing the requirements of humans in a lot of traditional jobs is another concern. The arguments for and against artificial intelligence seems to continue for some time until we reach a certain familiarity with its effects. However, there are several useful tools already being built using the principles of artificial intelligence. In this article, we will discuss a few WordPress plugins using artificial intelligence and machine learning to get better outcomes. On an eCommerce perspective, it is crucial in personalizing customer experience and improving support. Many of these plugins are still in experimental stages, and hopefully would grow to be more efficient. In different situations, humans use their intelligence to make a choice based on the nature of the interaction they are subjected to. This aspect is mostly not available with computers or machines, as they work in a pre-defined pattern. With artificial intelligence, computers gain the ability to make choices based on interactions. This is mostly achieved by learning from the experiences it gathers from interactions with other systems. A process called deep learning or machine learning aids the constant improvement of artificial intelligence. The generation and availability of large volumes of data in every interactions can be methodically used in this process. We already have powerful analytical tools that are capable to process large data quite effectively and quickly. When innovative artificial intelligence algorithms are empowered by deep learning, you can create intelligent machines. Artificial intelligence has applications in a lot of fields, such as customer support, sales and marketing, content curation, home appliances, digital security, and more. Artificial intelligence do come with some obvious advantages to everyday life. Let’s do a quick analysis of these aspects as well. With the help of machine learning, you can reduce the ‘human error’ factor in a lot of cases. This is because once a machine adjusts its functioning based on an error, there are only minimal chances for it to repeat the same mistake. That way overall efficiency of many systems can be improved. With the help of AI, we can use robots to do some of the dangerous tasks. For example, mining, oil exploration, etc., can become more efficient with the help of artificial intelligence. Compared to humans, training machines is easier. So the execution of new technologies and procedures will be faster and less error-prone. One of the obvious advantages of AI is that we can easily create virtual assistants who can help with a lot of daily tasks. As they process vast information in a short span of time, it can be more effective in helping users make informed choices. This will have particular application in the eCommerce industry. For example, chat bots can answer common queries associated with a product by analyzing the data of queries and their solutions. Or, can provide intelligent recommendations to shoppers based on their shopping history and patterns. As mentioned above, you will quite a few plugins that make use of artificial intelligence. Here is a list of some of the popular ones in the WordPress Plugin repository. Spam comments on your WordPress blog can be a big nuisance for site owners. In fact they can even badly affect your search engine rankings. Akismet is a plugin that you will find pre installed when you start your WordPress site. It is a hugely popular solution to help protect your site from spammers. In fact, this one uses some of the principles of artificial intelligence that we discussed above. It maintains a global database of spam comments, and runs the comments that are posted on your site against this database. Then, based on similarities with the historic spam content, it will block spam comments on your site. You can review the process, to ensure it is working accurately. Akismet leverages a vast data of spam content to identify fresh spam posted on your website. It analyzes all comments posted on your site, and filters out the ones that look spammy. In fact, it will reveal hidden urls in the comment body to help you easily identify unwanted comments. It gives you a view on the comments profile for each users. From the site admin, you can evaluate how many approved comments a particular user has. This can help you in checking the nature of the comment again. It has an option to discard comments that fall under the clear definitions of spam. This can actually save your time from reviewing each blocked comment. WordLift is a plugin that will help you organize content on your WordPress site. It will support your writing process with factual information related to your content along with additional suggestions like visuals. It will also make sure your content is engaging by suggesting relevant content recommendations. In addition, it will make sure that your content is compatible for structured data markup, which is important for search engines to identify content. If you would like more information on the specific strategies for better SEO, you can find some relevant tips here. Basically, the plugin uses a network on information called ‘knowledge graphs’ to help you organize content. It helps you structure your content by connecting it with all the related information available. This way, you will understand gaps in your content strategy and can improve your content accordingly. It will also suggest images from the commons library, which you can use without copyright hassles. In fact, this plugin will help you discover new content opportunities related to your blog or business. Moreover, it supports over 32 languages, but please not you can use only one language at a time. WordLift helps to organize and enrich your content with facts and recommendations. This plugin helps you defend against malicious attacks on your WordPress site making use of the AI-powered scanner. Furthermore, it will inform you if search engines have blacklisted your site. Overall, it will help you protect your site from multiple threats, and help it be continuously be accessible to users. It provides detailed investigation reports too, to help you be aware of specific threats to your site. Content curation is a great strategy, when you don’t have time to create relevant content on your website. Instead of providing your own content to users, you can curate a list of popular content from other sources and suggests users to read them. MyCurator plugin helps you fetch the relevant content that can be curated. For this, it uses machine learning principles, where you can train it to identify relevant articles. You can simply upvote or downvote the selections at the start, and based on your choices it will fetch the relevant ones on its own. This will help save a lot of your time, and you can provide relevant information to your users. It also makes sure you are not violating any copyright laws by displaying only an excerpt of the article on your site. You can display the excerpt along with an image and an attribution to the original source. MyCurator helps you review and display excerpts of popular, high quality articles from your niche on your website. The emotions that you convey to your audience through your content is relevant in successful engagement. Often it happens that the text that you type end up conveying a different emotion than what you intended originally. How will you know the emotion that your text is conveying? Here is a plugin that will point out the emotion you are conveying from a range of five common ones. It might be an asset, as it will help you be assured about the emotions in your messages. You can analyze different types of content like this including product descriptions, support responses, blog, comments, etc. It even offers an option to analyze the content that you post on your social media channels as well. The plugin is empowered by the cognitive computing system IBM Watson, which interprets unstructured data to form meaningful insights. With the help of this plugin, you can review and modify your content until you find the intended emotion. Basically, the plugin will show you five emotions: Joy, Sadness, Anger, Fear and Disgust. On a brand building perspective, you would mostly want to avoid the latter four emotions. 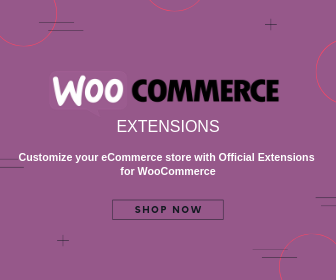 Here you will find a few tips on brand building for your WooCommerce store. Recomendo is still in the beta stage. Once it is fully functional, it should help you display related articles and products to your site users. Displaying related articles is a great tool to improve customer engagement. When the machine learning algorithm picks the relevant articles, there are more chances for customers to click these. On an eCommerce perspective, correctly displaying related products would help to increase average order value on your store. Displaying recommended posts and products on your site will help improve customer engagement on your store. Also, as Recomendo operates in the cloud servers, there is no threat of slowing down your site. Though it is still in the developing stages, we included it in the list owing to its perceived value for blogs and online stores. This is another useful plugin you can use to show ‘Recommended Posts’ to your users. It uses an AI-powered algorithm to analyze user behavior to offer appropriate content suggestions. Consistently displaying relevant content to your users will help to better bounce rate and page views on your site. Gradually, the search engine rankings of your site too will improve. 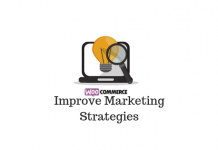 You can find some tips to improve the search ranking of your WooComerce store here. With its AI-enabled algorithm, this plugin displays content recommendations to your site audience. If your site doesn’t have a multi-lingual option, this plugin can help your users by offering translations to a language they choose. It uses Google’s translation system, which works on the principles of artificial intelligence and machine learning. And, it takes inputs from users to correct the translations, and thus, is continuously learning and improving. Once you install and activate the plugin, you can enable the translation option from the plugin settings page. After that, simply select the default language of your site and choose the languages you want to be available for translation. Using the AI and machine learning empowered Google Translation Engine, this plugin helps you offer translations on your site for languages you choose. Artificial Intelligence is establishing its usefulness in many fields. In several domains, it improves the efficiency of systems and operations. 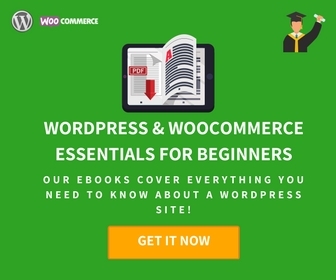 There are several WordPress plugins that work using the principles of artificial intelligence and machine learning. 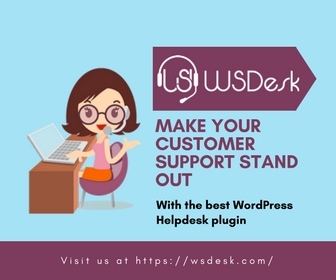 This article has attempted to give you a peek into some of the popular WordPress plugins using artificial intelligence. We will present more aspects of artificial intelligence relevant to eCommerce in another article.